Who Needs an Internet Consultant? An Internet Consultant is a personal trainer that can strengthen any small business owner into a tech savvy entrepreneur in a few months or less. If you don’t know enough about the Internet to know the value of a strong web presence by now, it would be a great investment to make this year. The Internet has been available to private businesses since 1991. It leveled the playing field for all industries and gave the power to the people to rise above the corporate giants. It also liberated small businesses from phone book companies who charge ridiculous rates to keep the small businesses paying their high premiums month after month. Unfortunately, too many businesses would rater pay more for less. If you are one of these… you needed the help back in 91, but today is also a good day to be free. Many small businesses are owner-operated by people who know little about the changes in the way modern businesses are run today. The modern business world is conducted on the internet today, and the those who have the advantage know this. Everything has to be made available for portable devices such as smart phones and tablets. Laptop computers are almost obsolete now, so if your small business doesn’t have a website yet…you are invisible to your customers. If your website is outdated, you look like an amateur to them, even if you have been in business for 30 years or more. Some business owners think they don’t need the Internet. Everything is online today. Some business owners just don’t have the time to learn it. That’s why you need me. When I finally came to terms with all of this, I was still using a beeper, and trying to avoid computers at all costs! The year was 1998, and an amazing woman came into my life and made me a believer! My wife, Angie took away my beeper and replaced it with a cell phone. Then, she sat me down in front of a computer every night after work and helped me understand the value of going online. After a year or so, my businesses did better that ever, but I was still making excuses for not doing more online. A decline in the housing market resulted in a crash, and it took my landscape business with it. By summer of 2008, the phone stopped ringing. I was spending huge budgets on worthless advertising month after month. More advertisers were calling me daily to help empty my bank accounts, making false promises of non-existent opportunities. I finally pulled the plug and went in another direction. My word-of-mouth clients were drying up, but I still had a few jobs to complete. There are those who genuinely care and take pride in their craft (that was me). If you don’t take the time to put something back into your business, eventually it will fail (mine almost did). Strong businesses are those that are being well maintained. Like a ship, the business is only as strong as its captain. A great captain is always improving himself/ herself, the crew and the ship. Internet Consultant: Why Trust Sadree? Because, I was like you… desperately needing help to understand something I couldn’t wrap my head around. I needed an internet consultant, not more advertising. I started helping business owners understand the power of the web back in 2009. After working with several programmers one-on-one, and also learning from friends with advanced computer skills, I wanted to share my new found knowledge with the world! A friend and I were working together on doing something with an outdated website I had built myself years prior. This venture would eventually become a web development company that I run with currently called Sadree Web Design. One of my partners went off to Philadelphia and started his own company. He is a software engineer and doing quite well. we still work together, but independently. Today, I have partnered up with another one of our first programmers, David Leonard. David and my friend Brian helped me understand and apply what I know today. This is what I pass on to my clients. 2016 was another slow year for landscaping. 2017 isn’t much better. People aren’t spending money on landscaping. The most scary thing for a business is when the phones stop ringing. Word-of-mouth can only take you so far. If you think you are getting calls from it, think of the ones you are missing. People who hear your name are checking you out online. Still think your reputation and credibility online isn’t important? Brand Building: Do It Now! If you are planning to continue your business into the future, you should have already been establishing your brand. A brand is more than just a name or logo. It’s something your target audience is familiar with and can trust. If your web presence isn’t established by now, online you appear amateur. Although you might have decades of experience and lots of customers already, the world online views things differently. You may have great reviews, but pulling it all together is what professional businesses do these days. What are you waiting for? I have put up a page of educational videos that will explain the value of a strong web campaign here. New videos go up frequently. Check this page often and subscribe to the YouTube channel if you find these videos helpful. If you want to know more, or have a suggestion for another video contact me. The most gratifying experience is helping someone else achieve success. Both parties share in the rewards. I believe that the true rewards in life come in other forms of currency than just money. I put my passion behind every project I take on from start to finish. The work is more than just another paycheck. I feel that if I put my name on it, then the work has to be worth something. Integrity is my trademark. 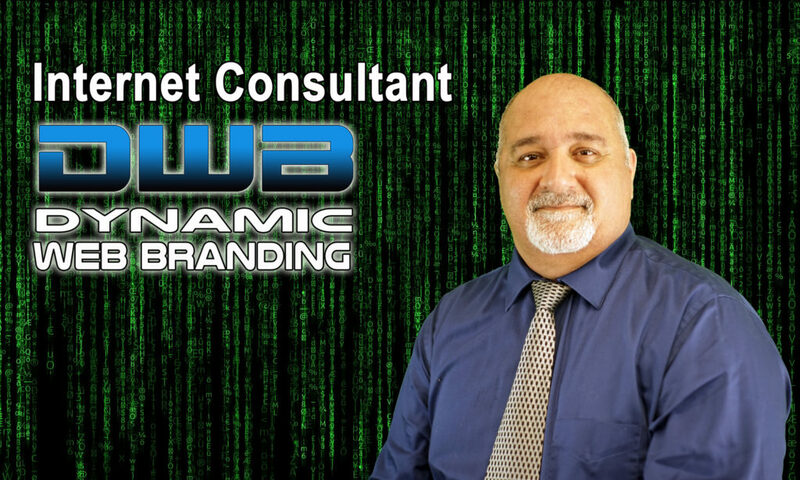 Let me help you achieve a new level of success as your internet consultant. So believe me when I say Your Success is my business!